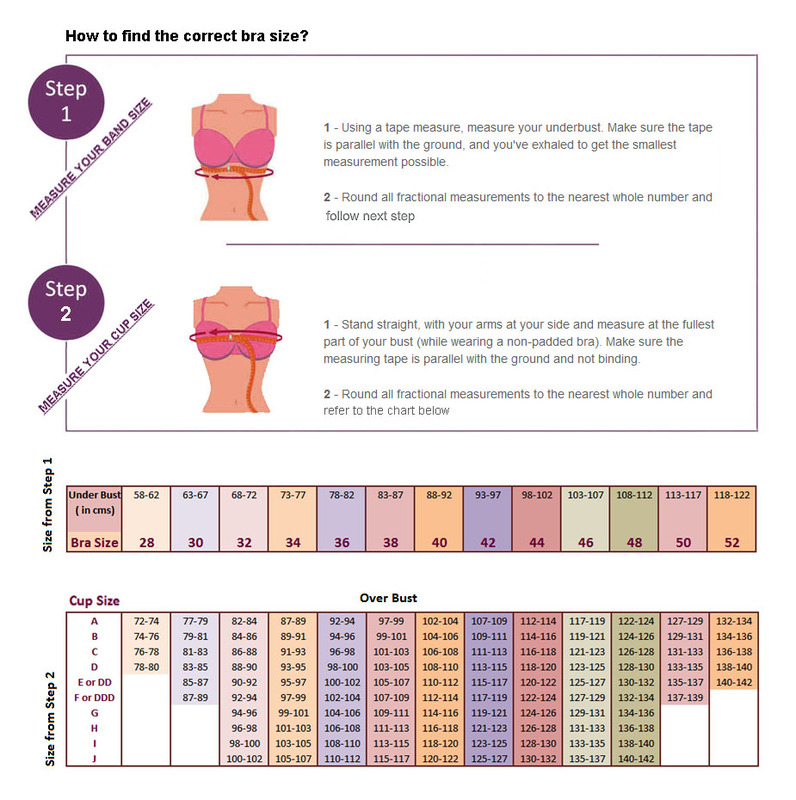 Though you can find the correct bra size from the table above, but the actual size that fits you the best may vary depending upon different brands and personal preference. For eg. some particular pattern may have more stretch than the other depending upon the fabric and material used in the bra. So if the bra doesn't fit you doesn't mean that the bra is not good, but contrary, you may have not chosen the correct size or pattern.